What Common Mistakes Can Ruin Your Plumbing? The majority of the plumbing problems that you will experience are largely preventable and simply due to user error. With a little caution, you can avoid the mistakes that lead to expensive plumbing repairs, some of which can even ruin your plumbing beyond repair. Here are some of the most common mistakes that can be easily avoided. In theory, nothing should go down your drains except for toilet paper and natural waste. People have a tendency to treat their toilet as a garbage can, throwing away pieces of food, coffee grinds or kitty litter. All of these items can overflow the toilet, cause clogs, and lead to expensive repairs. Moreover, every clog taxes your pipes even further, shortening their lifespan in the process. You may be tempted to toss away bacon grease down the drain. This is a bad idea. It can clog your pipes to such a degree that only a plumber will be able to make the repair. Instead, allow grease to solidify and then throw it in the garbage. Frozen pipes are another expensive repair to have to undergo if they happen to burst. If you have pipes that are exposed to the outdoors during the winter months, it is important to insulate them, as well as drain your irrigation system. You can wreck havoc on your plumbing system if you attempt to fix a seemingly minor repair yourself. A good rule of thumb is that if you are at all unsure of how to fix the problem at hand, seek help. Sometimes, it is simply best to call in a professional plumber before you create a bigger problem than you had to begin with. You can avoid a large mess by simply turning off the water before you attempt any further repairs. You can do this by turning off the main valve or the valves that are located near your bathroom fixtures, such as your sink and toilet. 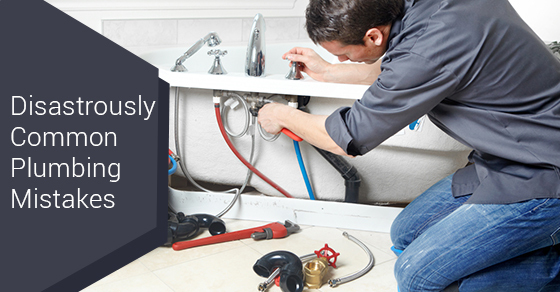 If you are in need of a plumber contact our team of plumbing experts at Brothers Plumbing today. We have over 50 years in the business and a superior track record in the industry. We offer competitive rates, upfront quotes and 7-7-7 service.